The Lakshman Jhula is believed was made by the Lord Lakshman “The brother of Lord Rama” by using his bow and arrow in order to cross the mighty river Ganga. The current bridge was built by the British after the original got washed away in the flood. It is interesting to note that the structure is still standing and sturdy. In the year of 1939 they managed to erect that structure. Prior to this it was a rope and wooden structure. Bridge the gap – is a very popular phrase but the significance of this phrase is very universal and inspiring. The construction of bridges is done not just to solve the commutation problem between to locales but to create a bond of brotherhood among the two hubs & the peoples living there. 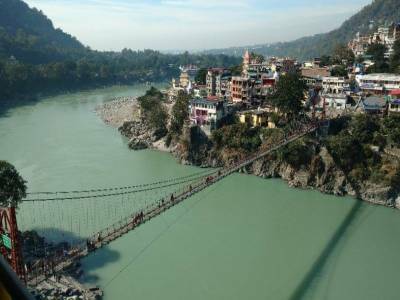 Lakshman Jhula was thus created to bring close the two towns of the Uttarakhand together by the Britishers when the ancient holy wooden bridge washed away in a flood. 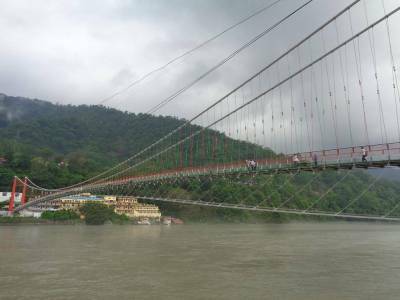 The Lakshman Jhula is one of the revolutionary & innovative bridges in India. It is basically a motorable suspension bridge that connects two Garhwal Range districts with tensile strength and resilient load carriage capacity. 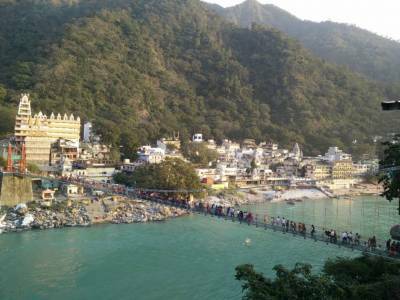 Lakshman Jhula is the first suspension bridge in Uttar Pradesh and one of the iconic constructions in Rishikesh, the spiritual tourism destination in Uttarakhand. The Lakshman Jhula suspension bridge is about 450 ft above the thunderously flowing river Ganges and it joins the Tapovan town of Teri Garhwal with Jonk town of Pauri Garhwal districts. Tourists can enjoy the sway of the bridge in the howling mountain airs and feel the adrenaline pumping within. The bridge is cemented however you can still feel turbulence. best times are early mornings and late nights. Visitors can experience the feeling of being alone if one stands in the centre of the bridge and watching river ganga is very thrilling and divine experience. 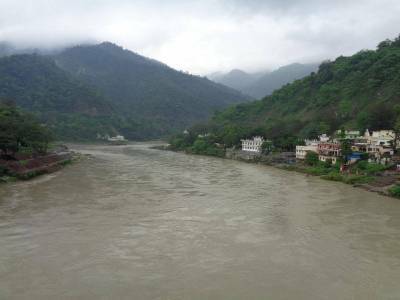 Travelers can also buy fish foods to feed the fishes of river Ganga from the Lakshman Jhula and don't miss a rafting tour by boat on the holy Ganga and have a swim with the Ganga. The brother of the Lakshman Jhula bridge, the Ram Jhula is located just about 2 kilometers down the Ganges flow-stream. Near the Lakshman Jhula, there are enough restaurants, bakery's, and plenty of shops. 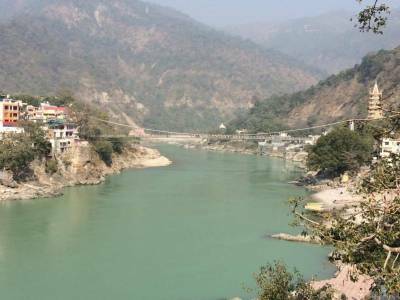 Lakshman jhula is about 15 KM away from Rishikesh city center and about 34 KM away from Haridwar. Get quick answers from travelers who visit to Lakshman Jhula.